What we're about to tell you may not seem very exciting, but trust us - it is! We've got a new glass color! This new blue glass, named Deep Ocean, will be available in the coming weeks. As you can see, there are various sizes in both the frosted and unfrosted pieces. These new glass pieces would go great with our 'friends' in the Ocean Dog Collection! All jokes aside, we're extremely excited to start using Deep Ocean in our upcoming murals and borders! Would you like a mural or border with Deep Ocean? Shoot us an email or give us a call! 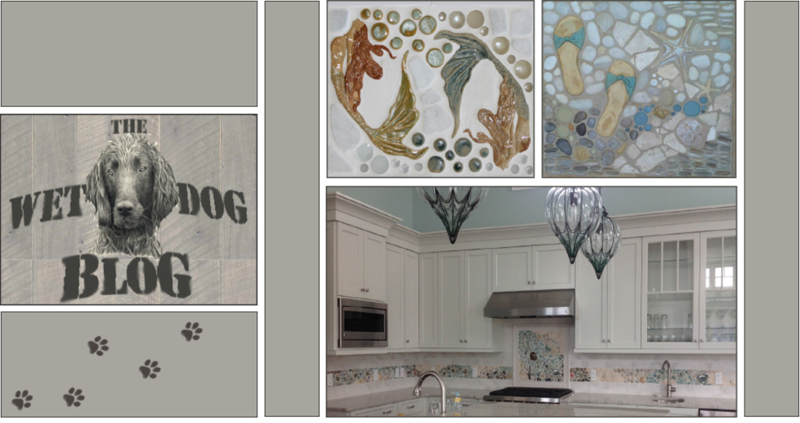 Email us at info@wetdogtile.com or call us at 603-835-8099!